Nice! I didn’t get to see one in reality though. yeah. In Kanto the Shinkansen tracks are elevated above ground. And I think they(Tokaido Shinkansen) only go full speed around Shizuoka area. 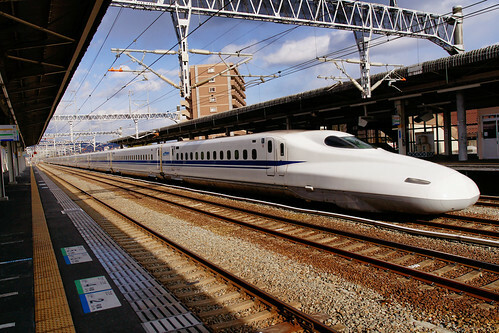 Bt it felt awesome as fast bullet train go passing by, n the wind~. Surprisingly you dont feel fast being inside the Shinkansen when it go above 240kmh.